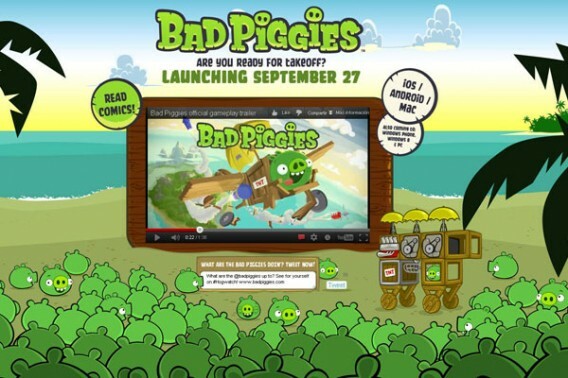 The Finnish company Rovio Entertainment today launched “Bad Piggies”, a new video game starring the evil green pigs with which the company seeks to emulate the huge success of “Angry Birds”, the most downloaded mobile game in history. The new sequel to the franchise “Angry Birds” takes place on an island called “Piggy Island”, where pigs try to steal the birds eggs angry with the complicity of the player, who must help creating flying machines to take them to their destination. The new game is currently available for operating systems iOS , Mac, Android and Windows, and soon they will also release a version for Windows Phone, the smartphone software developed by Microsoft. 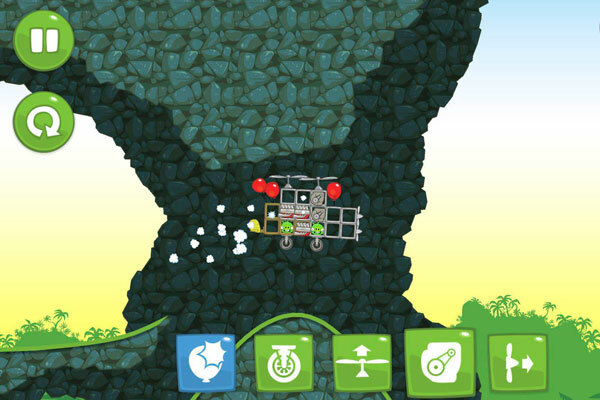 “If ‘Angry Birds’ was to destroy, ‘Bad Piggies’ revolves around the joy of building. It is not only to get three stars: in this game, failure is almost as fun as success, “said in a statement the company vice president, Petri Järvilehto. Rovio released the first version of “Angry Birds” in late 2009 as a specific game for the iPhone, and after adapting to other mobile platforms, has surpassed one billion downloads worldwide. Driven by the huge success of the game, the Finnish company executives have created an entertainment franchise that includes theme parks, cartoons and all kinds of marketing items, from stuffed animals to mobile covers. In 2011, the company based in Espoo (Finland) its turnover grew ten-to 97-million, increased its workforce from 28 to 224 employees and got 200 million people actively play monthly to “Angry Birds “. Rovio acquired last May the rights of a new video game created by two developers Spanish and, following editing, launched “Amazing Alex”, its first product outside the saga of birds pissed. Shortly after the release, “Amazing Alex” jumped to the list of most downloaded games, but its popularity declined rapidly and disappeared months after the group of the 50 best-selling games. With “Bad Piggies”, Rovio again resort to evil but lovable green pigs to create a different game to multiply their sales and market value, with the idea of going public in 2013.